Fresh-smelling air is so easy to take for granted. You walk inside your home and, so long as everything smells nice and clean, you probably don’t think any more about it. But then there is the day you come home and… sniffffff. Hmmm. What IS that smell? An unpleasant odour could be coming from many places in your home for all kinds of reasons. If the smell is temporary and seems to die down after a day or so, there probably isn’t too much to worry about. It might have even just been old cooking or cleaning odours that needed to dissipate. But if it lingers, or if you start to smell it more frequently and it seems to be getting stronger, it is likely your home is trying to get a message to you that there is something wrong. In this article, we identify two of the most common reasons why your home might smell “off” and share ideas to troubleshoot. Summer is prime mould and mildew season. Both mould and mildew are considered organic fungi—they are actually a type of plant matter, but not the type you want growing inside your house! When the humidity in the air gets more concentrated and is joined by summer’s heat, this produces optimal growing conditions for mould and mildew colonies to form and flourish. Existing colonies then send out airborne spores to locate new areas to colonize. Often, this will take the spores into your bathroom, kitchen, basement, attic, and laundry room first. But with time, the colonies can spread to any area in or around your home. Most people describe the smell of mould or mildew as being musty or stale. Some describe it as similar to the smell of rotten wood or old wet socks. Mould can also smell earthy, grassy, or aged. The smell of mould can also be influenced by where the colony is located and what it is eating (wood, paper, pet dander, wallpaper, fabric, dirt, etc.). First, use your sniffer to try to isolate where the smell is coming from. 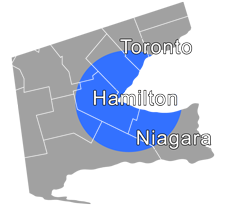 This may not be so easy if the mould is hidden behind a wall or in a pipe or is lurking outside around your home's foundation. You can also look for visible signs of mould or mildew. If you find small patches and you clean them and the smell disappears, that was clearly the problem. But if you do spot cleaning and the smell remains, or if you can’t find any visible signs of mould but the smell remains, you may need to call in the pros. Today, much more is known about the array of potentially toxic chemicals often used in commercial cleaning, crafting and personal care products, as well as new furniture, carpeting and home furnishings. Air fresheners, candles, perfumes, scented lotions, and cleaners can all pack a potent odiferous punch long after they’ve been closed up and put away. In the same way, many glues, adhesives, paints, varnishes, stains, and solvents can emit harsh odours that can cause irritation when inhaled. The air carries the scented chemical compounds that irritate your eyes, nose, throat, and skin. The smell may be quite different depending on what you are using. In the case of glues and crafting supplies, the smell may be sharp and pungent. With scented air fresheners and perfumes, it may smell pleasant enough, but just very strong. Sometimes the smell might not be unpleasant at all, which means you will have to look for physical symptoms to indicate whether the odour is of concern health-wise. If you think the air smells “fresh” but your eyes and nose are itching and you are sneezing and then your head starts to hurt, something in your home air supply is not right. First, figure out what the source of the smell is. Next, take a look at the ingredients list and see if you can identify possible culprits. If you stop using that item and the smell or the physical symptoms go away, that was clearly the source of the problem. If, however, your sleuthing turns up potential suspects and removing them does not ease your symptoms, you may have a chemical problem of a different nature, such as a slow radon or ozone leak or fumes from gasoline, natural gas, propane, etc. Here again, if your own sleuthing doesn't discover a remedy, it is likely time to call the pros. Help! My Home Smells Bad & I Don't Know Why! 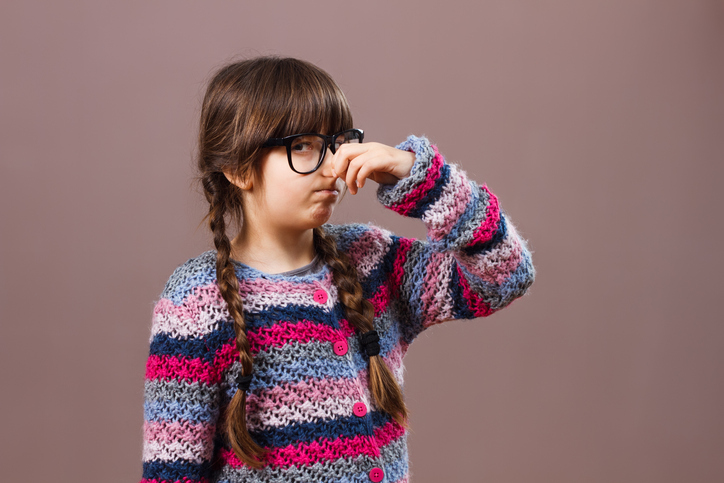 Sometimes the reason it is difficult to identify the source of strange home odours is that the root cause is hidden, such as inside your HVAC system. It is easy to forget to change or clean the filters in your A/C unit, vacuum, or filtration system, which can then lead to the buildup of odor-producing detritus. A poorly maintained air conditioner or furnace can also accumulate a great deal of toxic dust, dirt, and debris, including tiny toxins called particulate matter that get redistributed throughout your home every time your HVAC system cycles on. Luckily, it is very easy to test this theory just by cleaning or changing the filters you use. If you take your filters out and see clogged debris, you may just have found the problem! You can also schedule your air conditioner’s summer inspection and maintenance check-up. Your technician will clean and inspect your HVAC unit thoroughly to make sure it is blowing temperature-accurate and clean air. You Could Win a FREE Air Conditioner! Would you like to win a free new air conditioner? Just replace yours in July or August and be entered to win! Find out more now!